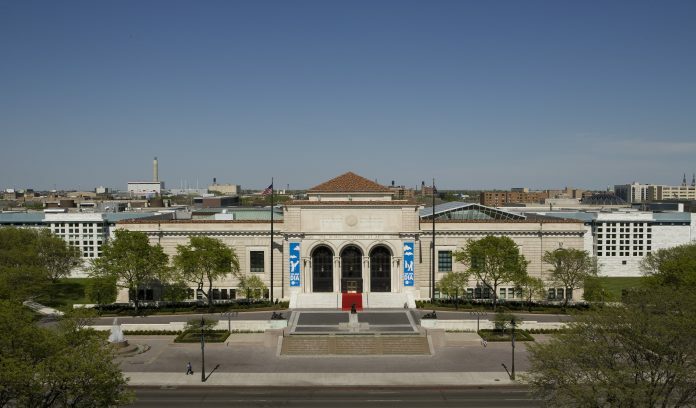 The Detroit Institute of Arts and Midtown Detroit Inc. Tuesday announced the launch of a DIA Plaza and Midtown Cultural Connections design competition to improve the DIA’s exterior campus. The organizations are sending a request for qualifications to landscape architecture and urban design teams to develop an urban and landscape design strategy and cultural center connection framework. Teams will first create a design vision that reimagines the DIA’s grounds to be more visible, welcoming, flexible, and functional to support year-round outdoor programming. Designers also will be asked to take elements from the DIA design and extend them to physically connect to the neighboring institutions to encourage walkability, improve wayfinding, identify opportunities for public art and programming, and consider shared parking strategies and improved design. The competition is one of the initial steps toward realizing Salort-Pons’ vision of the museum as a town square. The Charles H. Wright Museum of African America History, College for Creative Studies, Detroit Historical Museum, Detroit Public Library, Hellenic Museum of Michigan, International Institute of Metropolitan Detroit, Michigan Science Center, Scarab Club, University of Michigan, University Prep Science and Math Middle School, and Wayne State University are also stakeholder institutions. Firms must submit their qualifications by April 30 through https://midtowndetroitinc.slideroom.com. Eight firms will be chosen by a jury consisting of William Gilchrist, city planning manager, Oakland, Calif.; Cara McCarty, curatorial director, The Cooper Hewitt Museum, Smithsonian Institution; Julie Bargmann, founder of D.I.R.T Studio and professor of Landscape Architecture, University of Virginia; Detroit-born Mario Moore, artist; Maurice Cox, City of Detroit planning director; Jonathan Massey, dean, Taubman School of Architecture and Urban Planning, University of Michigan; Dr. Juanita Moore, CEO, Charles H. Wright Museum of African American History; Richard Rogers, president, College for Creative Studies; and Salvador Salort-Pons, director, Detroit Institute of Arts. The eight firms will make public presentations in Detroit on June 13 and 14. Three finalists will be selected to enter the third stage, which will be to design and amplify the possibilities of the project. The three firms will make public presentations on Jan. 23, 2019 at the DIA. The winning team will be announced in March 2019. “We invite the design community as part of this competition to think big and creatively as we innovatively set a course for the future to find solutions that will inspire us to create a public art space that creates bridges that connect to our neighboring institutions,” says Salort-Pons. The Boston Consulting Group (BCG) is supporting the project on a pro-bono basis to provide guidance for the overall vision and transparent governance process. The competition is funded by grants from the National Endowment for the Arts, William Davidson Foundation, and the Fred A. and Barbara M. Erb Foundation. Firms interested in applying can download the request for qualifications at www.midtownculturalconnections.com.